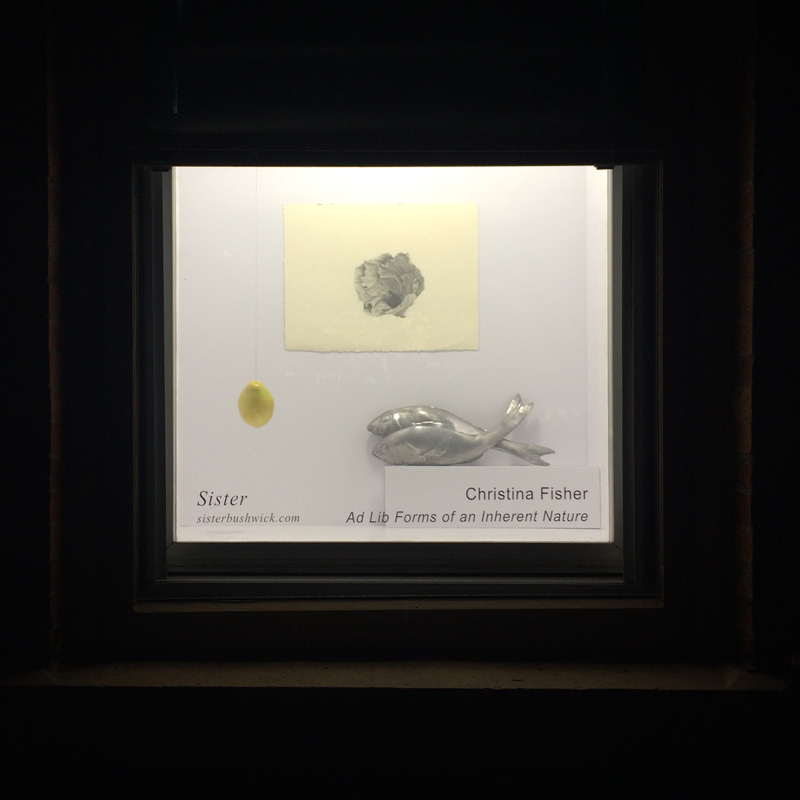 Sister is pleased to present Christina Fisher's "Ad Lib Forms of an Inherent Nature". Intimate works of sculpture and drawing taken in part from her interest in sensual observation and the obsessive attention to detail that comes with a career in arts-conservation. She employs realism to preserve moments of poetic freeze: an encaustic lemon molded in the dark, tilapia falling to the floor and cast in aluminum, a freshly cut hibiscus darkening its page. The use of surrogate materials to double and fortify what will surely decay stems from her interest in the ancient tradition of Coptic Fayum mummy paintings; encaustic portraits of the deceased placed over the head of mummified bodies. Their purpose served as lasting depictions of the living as a remembrance for the disappearing and decomposing. Similar to vanitas still lives of Northern Europe; Fisher's sculptures and drawing serve as portraits of the living while at the same time reminding us of life's fleeting nature. Born in Fort Lauderdale, Florida in 1979, Christina Fisher lives and works in Los Angeles. 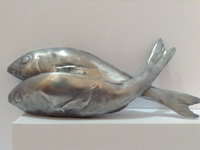 She graduated with a BFA in Sculpture from Tyler School of Art, Temple University in 2002. In 1999, she studied at Temple University Rome. She received an MFA from the Department of Sculpture and Extended Media at Virginia Commonwealth University in 2007.